A weekly escape, or a peek through a keyhole into the past, Downtown Abbey was a riveting drama that could make us cry, touched our hearts, charmed us, and made us laugh. Tremendous detail permeated every episode. Over one thousand wigs were made, the costuming was worthy of an Oscar, and the extraordinary castle in which the story was set, (over forty of these magnificent estates were visited before the creators decided on Highclere Castle), offered a backdrop rich in history, and stunningly gorgeous aesthetics. 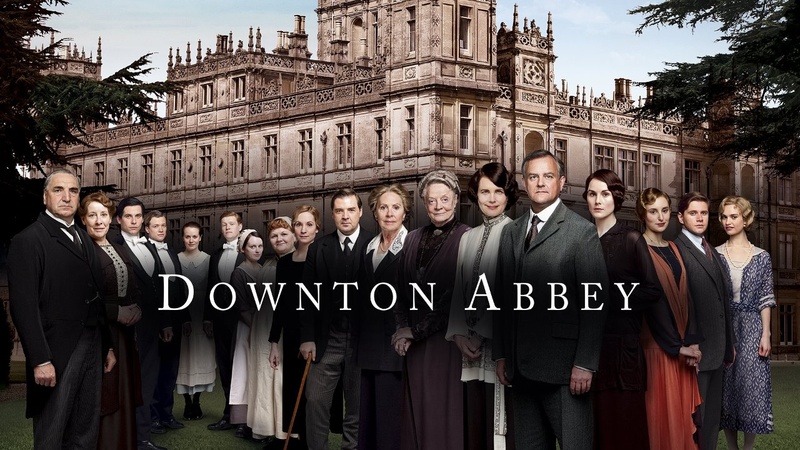 All of this contributed to the magnificence that became one of the world’s most adored television shows, and while gifted actors brought their characters alive with consummate skill, it was the brilliant writing of Julian Fellows that was the heart and soul of the phenomenon, Downtown Abbey. Julian created a world into which we could escape, people to whom we could relate, and most importantly, stories that captured our imaginations, lingering long after each episode ended, keeping us hungry for more. Carrying us through the social and cultural evolution that swept across Britain in a frighteningly short time, it also educated us, and reminded us that the winds of change are constantly swirling. and showing us what truly gifted writing is all about. OMG Maggie!!! Can you believe we won’t be watching it each and every Sunday night anymore? I am just sick that it’s over. Did you cry??? I did. When Edith came down the staircase, then again when the servants started singing and everybody was saying goodbye. Dammit I’m gonna miss those people. Julian Fellows is one amazing writer. To be able to write every single word of that series is mind-boggling. Sure hope he has something else to share with us sometime in the future. NO! I CAN’T BELIEVE IT. 🙁 …!! These people have become friends. I can’t bring myself to watch the last two hours yet. I was crying at the BAFTA special! I think I’ll watch one hour, then the next hour a few days later. The bright side is, it will live forever, and I’m looking forward to starting at the very beginning and taking the journey all over again.